Want a closer look? 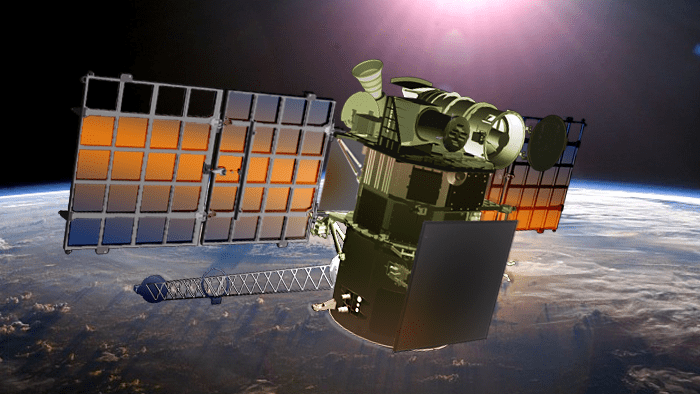 A recently published study provides an insider’s view of these complex planning stages for a proposed upcoming mission, the Wide Field Infrared Survey Telescope (WFIRST). In 2010, the astronomy community selected WFIRST as the highest-ranked large space-based mission for the next decade. Like most major missions, WFIRST has been through its share of ups, downs, and funding scares in the planning process — but as of this writing, it’s on the books for a planned launch in the mid 2020s. WFIRST will use a telescope the size of Hubble’s (i.e., a 2.37-m mirror) that was donated in 2012 by the National Reconnaissance Office. It will host two main instruments: a coronagraph that will be used for exoplanet and planetary disk studies, and a wide-field instrument that will be used to probe dark-energy models. The wide-field instrument will have two components: a wide-field channel imager, and an integral field channel spectrometer. Looking at just the dark-energy science objective, we can already see timing challenges emerge. WFIRST seeks to constrain the nature of dark energy by discovering and measuring the distance to Type Ia supernovae, thereby measuring the evolution of dark energy over time. But though WFIRST’s proposed mission duration is five years, only a total of 6 months of observing time can be devoted to the supernova survey. Should this time be primarily spent on wide-field imaging to detect as many supernovae as possible? Or should we employ a targeted strategy, using the spectrometer to better determine redshifts of the supernovae discovered? What areas should the survey cover, at what depth? How frequently should we look at the same patches of sky? These are just some of the many questions survey designers must wrestle with in order to optimize the WFIRST mission and give the project the best chance of answering our questions. To aid decision-making, a team of scientists led by Rebekah Hounsell (University of California, Santa Cruz and University of Illinois at Urbana-Champaign) has now conducted a series of simulations to explore different supernova survey strategies for WFIRST. Hounsell and collaborators realistically simulated supernova light curves and spectra as viewed by WFIRST’s instruments. They then explored 11 survey strategies with different time allocations between the imager and the spectrometer, taking into account various uncertainties. Their results suggest an imaging-focused strategy would be the most successful at increasing our understanding of the dark-energy equation of state. Though we won’t know exactly which strategy is the most optimal until we’ve determined some of the specific systematic uncertainties of the mission, Hounsell and collaborators’ study has laid the groundwork for future planning of the mission. What’s more, their results confirm that WFIRST will have the potential to significantly advance our understanding of dark energy — so keep an eye on this project in the future! “Simulations of the WFIRST Supernova Survey and Forecasts of Cosmological Constraints,” R. Hounsell et al 2018 ApJ 867 23. NASA is beginning to design its next big astrophysics mission, a space telescope that will provide the largest picture of the universe ever seen with the same depth and clarity as the Hubble Space Telescope. 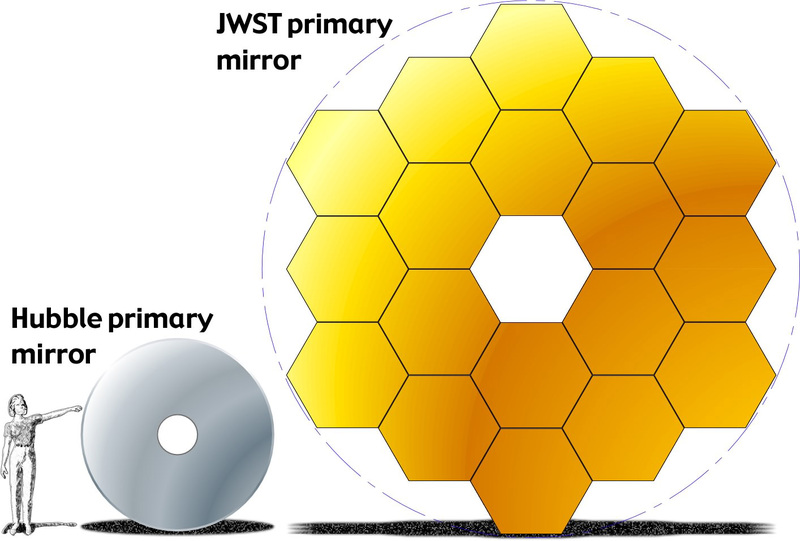 Scheduled to launch in the mid-2020s, the Wide Field Infrared Survey Telescope (WFIRST) will function as Hubble’s wide-eyed cousin. While just as sensitive as Hubble’s cameras, WFIRST’s 300-megapixel Wide Field Instrument will image a sky area 100 times larger. This means a single WFIRST image will hold the equivalent detail of 100 pictures from Hubble. Watch to learn more about the NASA’s Wide Field Infrared Survey Telescope (WFIRST). “A picture from Hubble is a nice poster on the wall, while a WFIRST image will cover the entire wall of your house,” said David Spergel, co-chair of the WFIRST science working group and the Charles A. Young professor of astronomy at Princeton University in New Jersey. The mission’s wide field of view will allow it to generate never-before-seen big pictures of the universe, which will help astronomers explore some of the greatest mysteries of the cosmos, including why the expansion of the universe seems to be accelerating. One possible explanation for this speed-up is dark energy, an unexplained pressure that currently makes up 68 percent of the total content of the cosmos and may have been changing over the history of the universe. Another possibility is that this apparent cosmic acceleration points to the breakdown of Einstein’s general theory of relativity across large swaths of the universe. WFIRST will have the power to test both of these ideas. To learn more about dark energy, WFIRST will use its powerful 2.4-meter mirror and Wide Field Instrument to do two things: map how matter is structured and distributed throughout the cosmos and measure how the universe has expanded over time. In the process, the mission will study galaxies across cosmic time, from the present back to when the universe was only half a billion years old, or about 4 percent of its current age. WFIRST will do this through multiple observational strategies, including surveys of exploding stars called supernovae and galaxy clusters, and mapping out the distribution of galaxies in three dimensions. Measuring the brightness and distances of supernovae provided the first evidence for the presence of dark energy. WFIRST will extend these studies to greater distances to measure how dark energy’s influence increased over time. WFIRST will measure precise distances to galaxy clusters to map how they grew over time. The mission will also pinpoint the distances to millions of galaxies by measuring how their light becomes redder at greater distances, a phenomenon called redshift. The farther off a galaxy is, the redder its light appears when we see it. Mapping out the 3-D positions of galaxies will allow astronomers to measure how the distribution of galaxies has changed over time, providing another measure of how dark energy has affected the cosmos. The Wide Field Instrument will also allow WFIRST to measure the matter in hundreds of millions of distant galaxies through a phenomenon dictated by Einstein’s relativity theory. Massive objects like galaxies curve space-time in a way that bends light passing near them, creating a distorted, magnified view of far-off galaxies behind them. Using this magnifying glass effect, called weak gravitational lensing, WFIRST will paint a broad picture of how matter is structured throughout the universe, allowing scientists to put the governing physics of its assembly to the ultimate test. WFIRST can use this same light-bending phenomenon to study planets beyond our solar system, known as exoplanets. In a process called microlensing, a foreground star in our galaxy acts as the lens. When its motion randomly aligns with a distant background star, the lens magnifies, brightens and distorts the background star. As the lensing star drifts along in its orbit around the galaxy and the the alignment shifts, so does the apparent brightness of the star. The precise pattern of these changes can reveal planets orbiting the lensing star because the planets themselves serve as miniature gravitational lenses. Such alignments must be precise and last only hours. WFIRST’s microlensing survey will monitor 100 million stars for hundreds of days and is expected to find about 2,500 planets, with significant numbers of rocky planets in and beyond the region where liquid water may exist. This planet-detection method is sensitive enough to find planets smaller than Mars, and will reveal planets orbiting their host stars at distances ranging from closer than Venus to beyond Pluto. These results will make WFIRST an ideal companion to missions like NASA’s Kepler and the upcoming Transiting Exoplanet Survey Satellite (TESS), which are best suited to find larger planets orbiting closer to their host stars. Together, discoveries from these three missions will help complete the census of planets beyond our solar system, helping us learn how planets form and migrate into systems like our own. The combined data from these missions provide insight into planets in the critical area known as the habitable zone, the orbiting distance from a host star that would permit a planet’s surface to harbor liquid water — and potentially life. WFIRST will also feature a coronagraph technology demonstration instrument designed to directly image exoplanets by blocking out a star’s light, allowing the much fainter planets to be observed. As NASA’s first advanced coronagraph in space, it will be 1,000 times more capable than any previously flown. This is a key step toward future direct imaging missions that will study truly Earth-like planets discovered nearby. The instrument will be able to image gas giant planets orbiting mature Sun-like stars, allowing scientists to study them in ways that haven’t been possible before. Scientists are hoping to use the coronagraph to determine important properties about these planets, such as their atmospheric composition. WFIRST will serve as an important tool for the science community through its General Observer and archival data analysis programs. All WFIRST data will be publicly available immediately after processing and delivery to the archive. Also, by submitting proposals through the competitive program, scientists around the world will be able to use the observatory to study the cosmos in their own way, from the nearest exoplanets out to clusters of distant galaxies. The mission will complement other missions expected to operate in the next decade, notably the James Webb Space Telescope, scheduled to launch in 2019. Webb provides a detailed look at rare and interesting objects, while WFIRST will take a wide look at the universe. WFIRST will also complement new ground-based observatories such as the Large Synoptic Survey Telescope (LSST) currently in development. By combining data from WFIRST and LSST, scientists will be able to view the universe in nine different wavelengths, data that will provide the most detailed wide-angle view of the universe to date. By pioneering an array of innovative technologies, WFIRST will serve as a multipurpose mission, furnishing a big picture of the universe and helping us answer some of the most profound questions in astrophysics, such as how the universe evolved into what we see today, its ultimate fate and whether we are alone. WFIRST is managed at Goddard, with participation by NASA’s Jet Propulsion Laboratory and Caltech/IPAC, also in Pasadena, the Space Telescope Science Institute in Baltimore, and a science team comprising scientists from research institutions across the United States.